London Fashion Week has just passed by in the blink of an eye and it was a flurry of shows packed back-to-back every hour. Makeup has became routine for me during the 3 days when I attended fashion week and I always do roughly the same look - A brown/dusty purple smokey eyeshadow finished off with cat eye traced in black eyeliner. I guess for me, that's my go-to look. I'm really quite boring when it comes to makeup, but this look really works for me and I like how easily I can dress it up or tone it down (by skipping the darker shades and metallic shadows). So, I'm going to show you how I do it. Apply a light brown or cream color all over your eyelids as a base color. Apply Zao Cosmetics Eyeshadow in Pearly Garnet on the outer corners of your eyes and blend upwards to form a slight horizontal V shape. Its eyeshadows contain rice powder, which eliminate fat from the skin by adjusting sebaceous secretion. Apply a medium brown, light earth gold, or a metallic/shimmery eyeshadow in the middle of your eyelids and blend in with the dusty purple shade. Finally, dab a light cream or silver eyeshadow on the inner corners of your eyes. Finish off with eyeliner and mascara. Apply Zao Cosmetics Lipgloss in Brown (1). 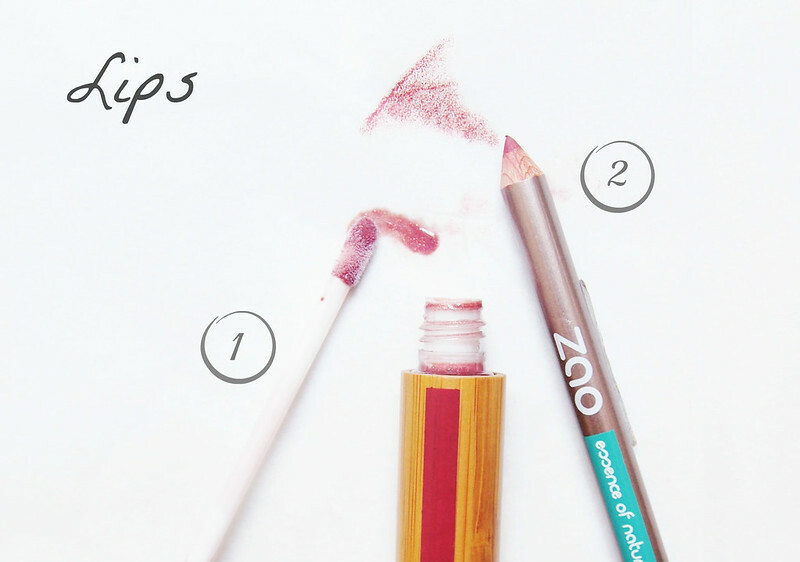 Trace the outline of your lips with Zao Cosmetics Lip Pencil in Orange Brown (2) and then blend with the lipgloss. The lip pencils have added shea butter in them to keep your lips moisturized throughout the day. 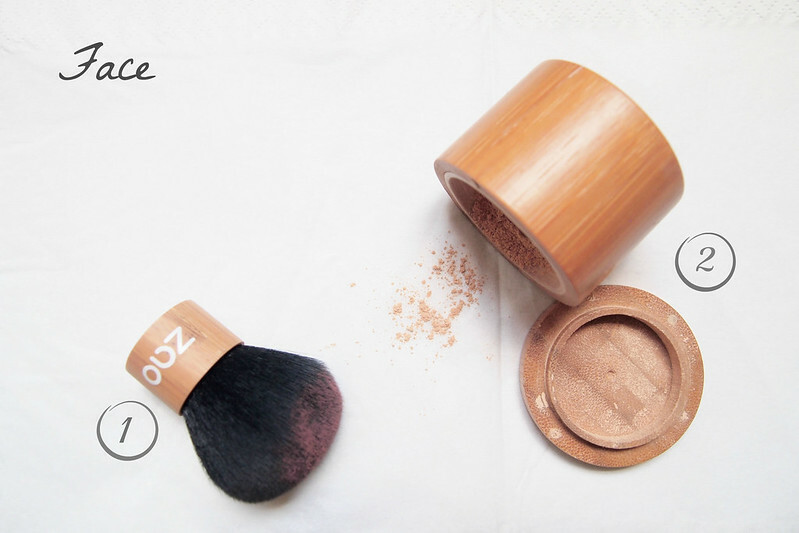 Then, apply Zao Cosmetics Blusher in Brown Pink (1) on the apples of your cheeks, which is a warm beige peach color that gives my cheeks a natural glow. 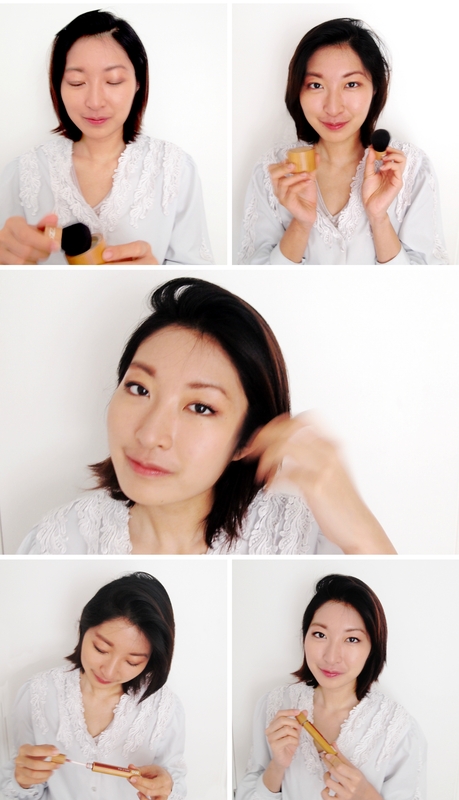 Using a kabuki brush (I'm using Zao Cosmetics' soft and handy kabuki brush), apply Zao Cosmetics Mineral Silk in Clear Beige (2) all over your face, concentrating on the cheekbones, jawline and nose bridge. Since I've started on my "programme" for clear skin as prescribed by my dermatologist, all my clogged pores did all clear up. However, it also left me with slightly more sensitive skin, and so now I'm quite selective to the type of makeup and other facial products that I use. 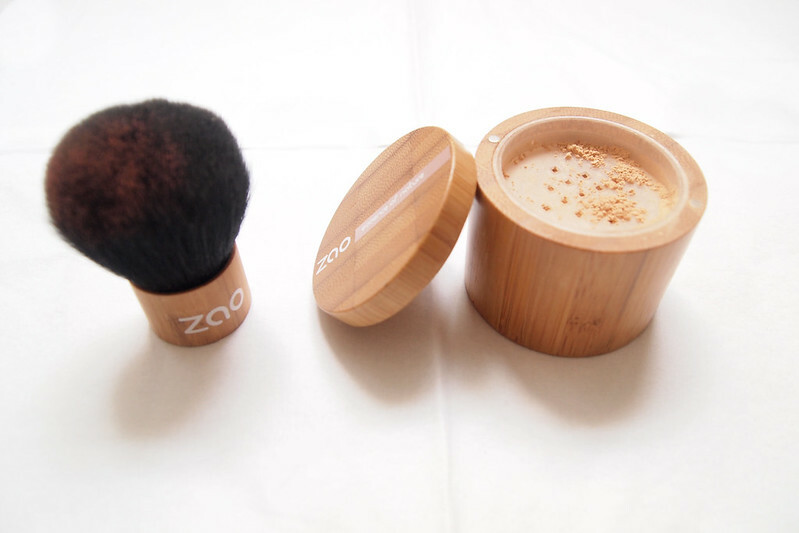 Zao Cosmetics takes away all my worries of having clogged pores away as it is developed from 100% natural formulas enriched with fair-trade, organic ingredients. 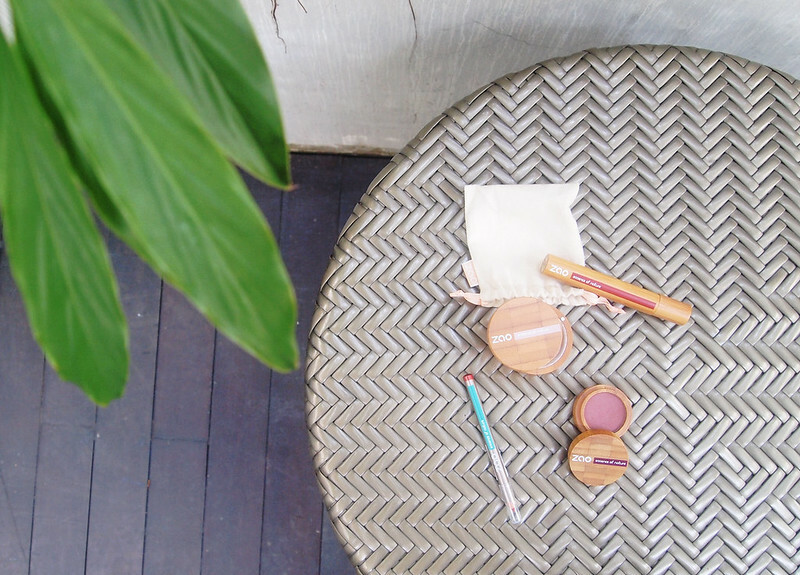 I was very amazed to learn that even its pigmented products like eye shadows, blushers and lipstick were also made from natural plant pigments. It does not contain any of the typical petrochemicals or preservatives in usual cosmetics products, such as paraben, phenoxyethanol, mineral oil, paraffin, DTA, BHT and BHA. 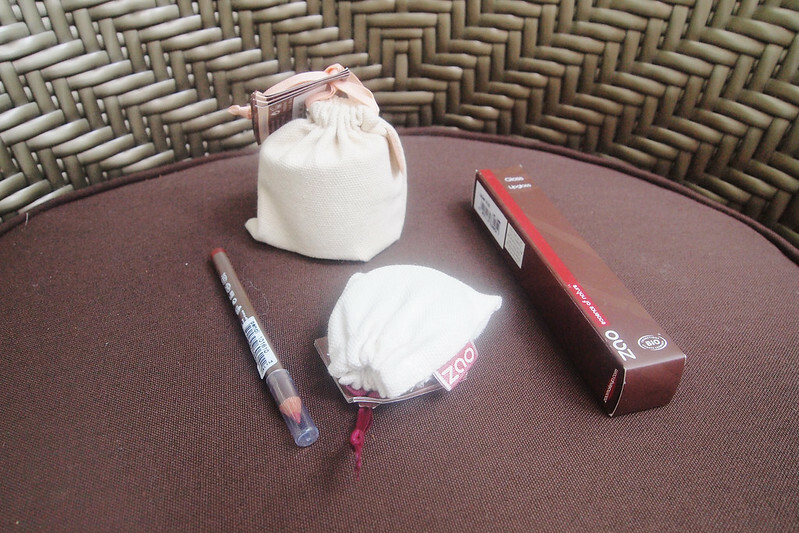 Its packaging is also made from bamboo, which is all biodegradable and refillable. Its range is not only perfect for people with sensitive skin, but also great for people with acne prone skin because its products will not clog your pores, even if you sweat in them. 10 Anson Road, International Plaza, #02-87, Singapore 079903. 181 Orchard Road, Orchard Central, #01-17, Singapore 238896. My readers get a 15% disucount all regular priced items (except tea, accessories, CDs and supplements) when they quote "NAKEDGLORYVERA" to any of the staff members instore.